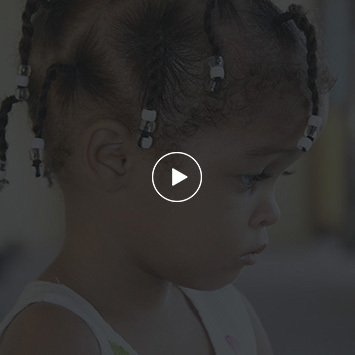 A 2 month old baby boy from Santiago de Los Caballeros, Cibao Region, Dominican Republic, was the first surgery of the April 2009 mission to Dominican Republic, and can be called a lucky child. 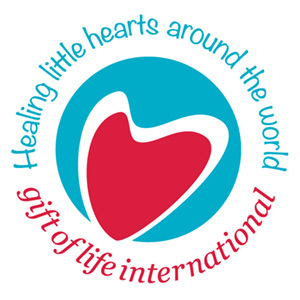 As the ICHF team (from Chile, UK, and USA) arrived on 18th April, Angel had been, just two days before, admitted to the Intensive care unit with severely enlarged heart and increasing shortness of breath. At 15 days of age, Doctors at Arturo Grullon had diagnosed Angel with Coarctation of the Aorta – an abnormality of the main artery to the body – that obstructs blood flow to and puts great strain on the heart muscle, resulting in increasing breathlessness, a fast heart rate, and progressively weakening heart function. In countries with fully developed pediatric cardiac surgical services, such babies have an operation as an emergency as soon as the baby is diagnosed. Without treatment, – death within days or weeks is the certain outcome. 6 weeks after diagnosis, as the ICHF team arrived – due to the love and care of Angel’s family, and the treatment by the doctors at Arturo Grullon, Angel had gained weight to a level almost comparable with healthy babies – but was running out of time – he was given emergency drug treatment to support the strength of the heart muscle and scheduled as the first operation of the mission on April 20 2009. When asked if she had anything to say to the team at Artutro Grullon, the ICHF volunteers and Sponsors who made the surgery possible Angel’s mother was crying tears of joy. throughout her answer…..
Congenital heart disease occurs in about 1 in every 100 children born worldwide,and Coarctation is a type of heart defect representing about 1 in 20 these – thus about 1 in every 2000 children born in Dominican Republic, and worldwide, will have this heart defect. The ICHF estimates that in Dominican Republic around 700 new children every year are born who will require cardiac surgery. A third of these, having serious defects like Angel – will die before three months of age. Currently, in 4 mission trips a year, the iCHF is assisting the Doctors at Arturo Grullon to do around 100 surgeries a year, and with continued support – and the planning of a new hospital – it is hoped that the local team will be able to do 2-300 surgeries a year independently within 2-3 years.